Welcome to my website! I am an interdisciplinary scholar focused on the nexus of natural resources and civic engagement. I received a B.S. and a M.S. from the University of Vermont in environmental studies and natural resources, respectively. I also hold a Ph.D. in forest resources and environmental conservation from Virginia Tech. 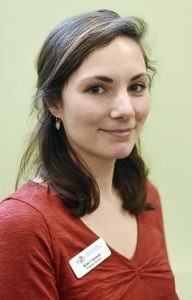 I am currently a Postdoctoral Associate in Dr. Rachelle Gould’s research group at the University of Vermont, working on questions related to collaborative forest planning and management, sustainability education, equity, and cultural ecosystem services. Please explore this site to learn about my teaching, research, and service.